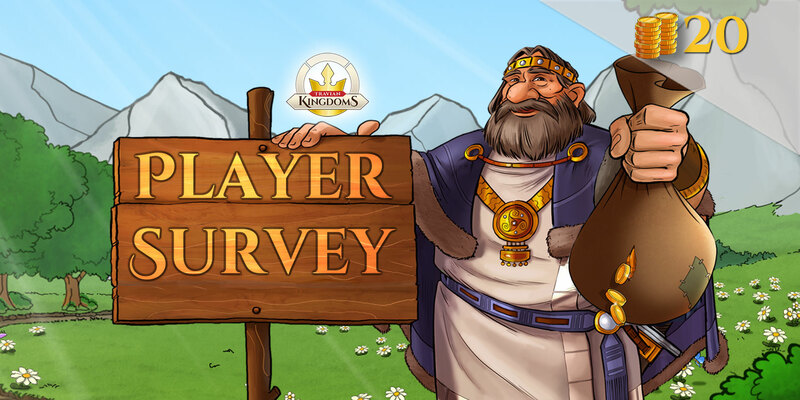 we'd like to request your help to improve our beloved game so please share your feedback in our player survey. You can fill it out between Friday, March 1 at 12:00 pm CET and Tuesday, March 5, same time. Gold reward: Everyone who completes the survey before the deadline(05.03 12pm) will receive 20 Gold a few days after the survey ends. Thank you for your time and for helping us to improve Travian Kingdoms!